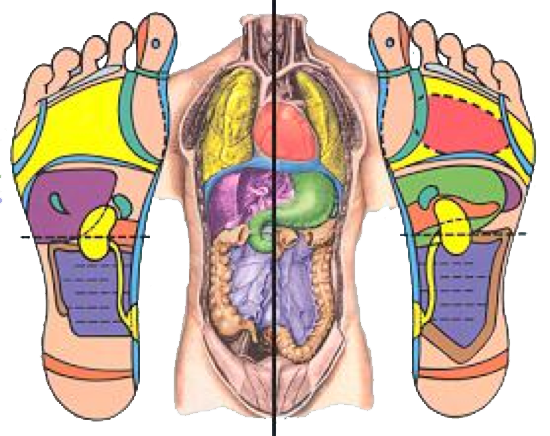 ​​Reflexology uses trigger points all over the feet and ankles to stimulate corresponding areas within the body. It's a relaxing and detoxifying technique is used which increases circulation, stimulates energy flow and regulates hormones and glands. ​It calms the mind, releases tension and restores normal function. ​Reflexology is used to treat many conditions & as a restorative relaxing therapy is good for people of all ages. The treatment is adapted to target specific areas correlating to a very wide range of diseases and disorders and can reveal areas of imbalance. With many years experience in pregnancy and fertility reflexology, the treatment can be used to help balance the body while trying to conceive naturally or with IVF and is often used to help induce labour. Massage therapy eases the build up of toxic products from muscles and brings a fresh supply of blood and oxygen to the local area. Using a light to mid pressure of Swedish massage with essential oils, my aromatherapy massage can be used to target specific areas incorporated in a holistic treatment. You'll feel the combined benefit of relaxation and an enhanced healing state from an aromatherapy massage.